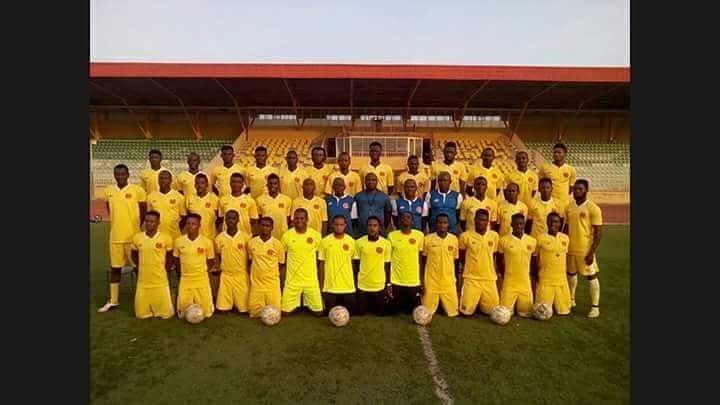 Abubakar Bukola Saraki (ABS) Ilorin FC, have moved to a closed camp in Lokoja, the Kogi State capital for its final phase of its preparations for the new season. A total of 27 players and seven officials moved to Lokoja on Tuesday, where the team is expected to play some friendly matches. The team will spend no fewer than 10 days in the Confluence city, to intensify its preparedness for the 2016/2017 Nigeria Professional Football League (NPFL) season, which will kick off on Jan. 14. Addressing the players before their departure, the Team’s Director of Football, Alloy Chukwuemeka, said the club will fulfill all its obligations to the players. He told the players to take their assignments serious, because they have a big game in their hands in the opening day of the season with Akwa United in Ilorin on Sunday, Jan. 15. “All we ask of you is to play football only, if we asked you to do any other thing than play football don’t oblige. “Remember we are now in Premier League, so you have to double your efforts in whatever you do. “We will ensure we make you comfortable at all times, please let us ensure we do our work diligently too” Chukwuemeka said.